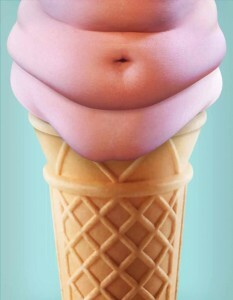 A French anti-obesity ad via imagur. What’s making Americans fat, and how do we fix the “obesity epidemic”? These questions are constant and lead to headlines blaming gut bacteria, sedentary lifestyles, trans fats, and any number of other drivers of American obesity rates. But what are the social consequences of these media reports themselves? In Social Science & Medicine, Abigail Saguy, David Frederick, and Kjerstin Gruys identify three different “weight frames” in media. These are ways of representing body weight as a social problem and include fat as a public crisis; fat as not necessarily bad and putting forward the “healthy at any size” idea; and “fat rights,” a storyline condemning weight-based discrimination. Using an experimental study design, the researchers exposed participants to these frames, using real articles about fat-related issues. Media frames influenced their readers. News reports framing fat as an “obesity epidemic” and blaming individuals for poor lifestyle choices worsened antifat prejudice among the participants. 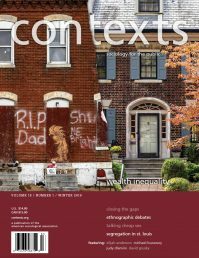 Reports focused on the healthy-at-every-size message or fat rights decreased participants’ concern about obesity as a public health crisis, though they did not decrease antifat prejudice. Blaming overweight people and stigmatizing fat can result in denying overweight and obese people access to employment, earnings, and medical care. These results make it clear that changing attitudes and realities won’t be easy.